Is this a legitimate attraction, or does it strike you as just a little bit…off? A few days ago, NPR reported on one of the world’s newest tourist attractions…in one of the world’s most unlikely places. 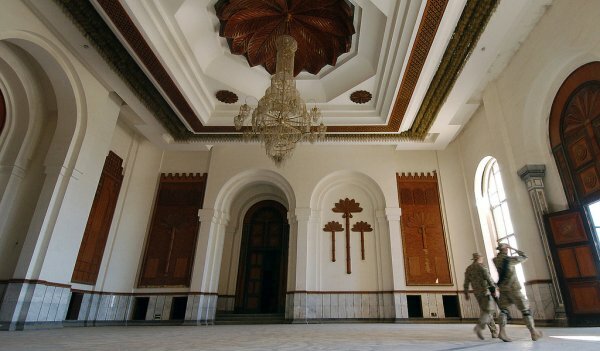 That’s right — one of Saddam Hussein’s many palaces, this one located near the site of ancient Babylon and the modern city of Hilla, is now open to the public. A quick tour goes for around a buck, while a night in one of the complex’s swanky guesthouses will run you $180. Iraqis have so far exhibited mixed reactions to their country’s newest tourist draw. For some, setting foot in the palace, which still features murals depicting the ex-dictator, conjures up too many bad memories. Others, though, relish the symbolism: Saddam is gone, and his once-exclusive realm is now open to ordinary Iraqis. It’s unclear how many international visitors will be lured by the opening of the palace. Apart from the poorly preserved ruins of Babylon, the region doesn’t offer much in the way of tourist infrastructure. Oh yeah, and there’s still a war going on. I’d love to hear what any Iraqis think of this development. 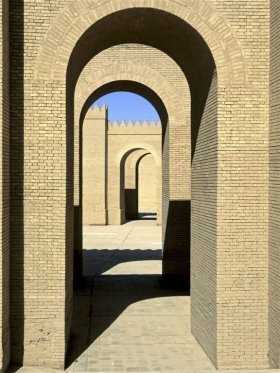 Would you visit Saddam’s Babylon palace? What about the rest of you? Is this a legitimate attraction, or does it strike you as just a little bit…off?